Why would anybody be interested in sponsorship opportunities on Veteran Owned Business? Simply put: our site gets QUALITY TRAFFIC. Since going live on Veterans Day 2008, VeteranOwnedBusiness.com has had several million visitors who have visited over 10 million pages. The average visitor stays on our site for several minutes and views several pages. If you are interested in running a banner ad on our site (starting as low as $50 a year), please fill out the following form (scroll to the bottom of this page) and one of our sponsorship associates will contact you with more information. Please be sure to include your phone number. This option allows you to choose one city to run your online ad in and it will run in every category related to that city. This option is great for companies with products or services that are geographic-specific to one city and or companies that want to target just a few cities in a certain area or specific cities around the United States. This is ideal for businesses that want to run local discounts and coupons. Advertising fees vary depending on the amount of categories under said city. Stimulus Discounted Rate: starting as low as $50 per year! This option allows you to choose one county to run your online ad in every category and city related to that county. This option is great for companies with products or services that are geographic-specific to one county and or companies that want to target just a few counties in a certain area. Advertising fees vary depending on the amount of categories and cities under said county. Stimulus Discounted Rate: starting as low as $100 per year! This option allows you to choose one state and run your online ad in every category, city and county related to that state. 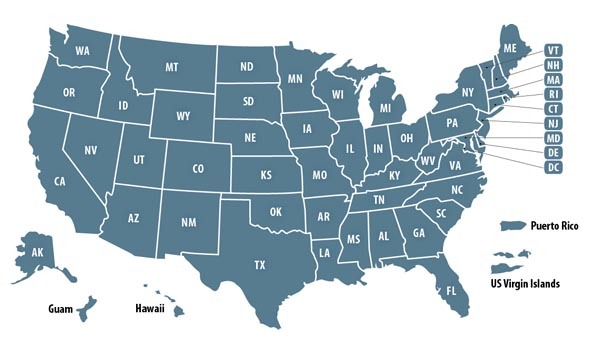 This option is great for companies with products or services that are geographic-specific to one state and/or companies that want to target only a few states. Advertising fees vary by the amount of listings in each state. Stimulus Discounted Rate: starting as low as $500 per year! This option allows you to choose one category (or subcategory) and run your online ad in that category as well as every state, city and county related to that category. This option is a great for companies with products or services that are not geographic-specific and cater to a broad market. Advertisers can choose from the highest level category (i.e., "Business Services") to the lowest category (i.e., "home inspectors). Advertising fees vary by category/subcategory and amount of listings in each category. Stimulus Discounted Rate: starting as low as $1000 per year! Have an immediate question, feel free to call us toll free at: (877) VOB-LIST. Advertising can be targeted to specific geographic areas.